Applications are now being sought for the 2018 Australian Medical Association (AMA) Indigenous Medical Scholarship. 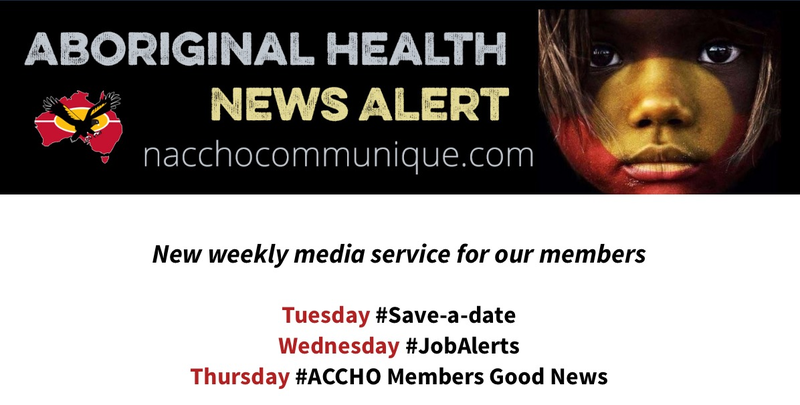 Applicants must be of Aboriginal and/or Torres Strait Islander background. Applicants must be currently enrolled full-time at an Australian medical school and at least in their first year of medicine. Preference will be given to applicants who do not already hold any other scholarship or bursary. The Scholarship will be awarded on the recommendation of a selection panel appointed by the AMA. The value of the Scholarship for 2018 will be $10,000 per annum. This amount will be paid in a lump sum for each year of study. The duration of the Scholarship will be for the full course of a medical degree, however this is subject to review. The AMA would like to acknowledge the contributions of the following donors: Reuben Pelerman Benevolent Foundation; the late Beryl Jamieson’s wishes for donations towards the Indigenous Medical Scholarship; the Anna Wearne Fund and Deakin University. 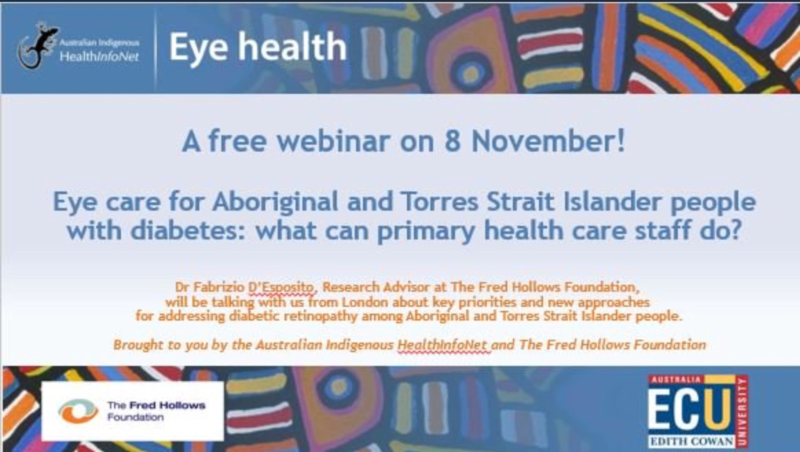 A free, one hour webinar, Eye care for Aboriginal and Torres Strait Islander people with diabetes: what can primary health care staff do? 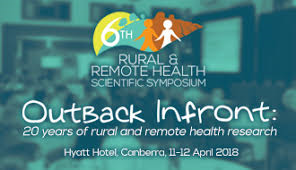 is brought to you by the Australian Indigenous HealthInfoNet and The Fred Hollows Foundation. There is real concern about rising levels of diabetes among Aboriginal and Torres Strait Islander people, and the complications that are associated with this. Diabetic retinopathy (DR) is a serious eye condition that can lead to vision loss and blindness among people with diabetes if it isn’t managed appropriately. 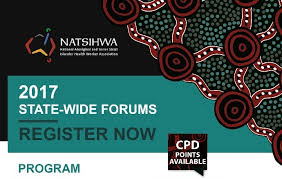 Dr Fabrizio D’Esposito, Research Advisor at The Fred Hollows Foundation, will be talking with us from London about key priorities and new approaches for addressing DR among Aboriginal and Torres Strait Islander people. There will also be time to talk briefly about information on the Eye health web resource, including a new series of multimedia DR resources developed to support the primary health care workforce, and to respond to questions from webinar participants. We hope you will join us. To attend, simply click on this link about five minutes before the webinar is due to start. If you have any questions before the webinar please refer to the contact details below. 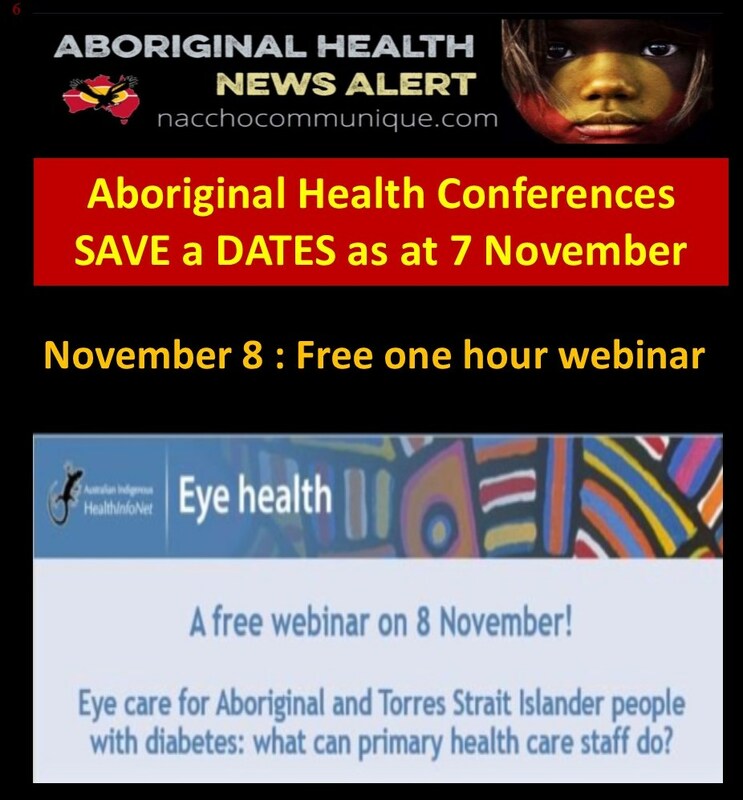 View information: Eye care for Aboriginal and Torres Strait Islander people with diabetes: what can primary health care staff do? 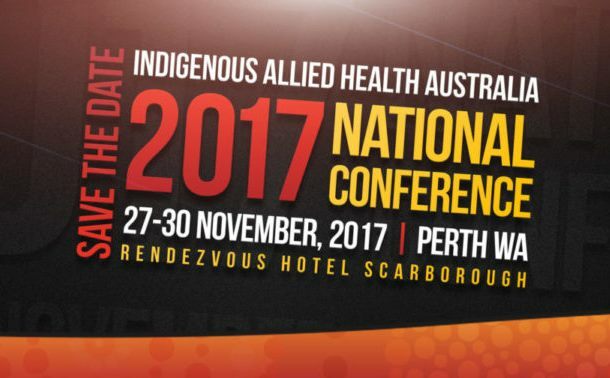 Unlike so many other conferences on this subject, our gathering will consist of over 95% Aboriginal speakers and examine what’s really going on with Aboriginal men and their use of violence. Kornar Winmil Yunti (KWY) and No To Violence will be hosting the event which will support and promote good initiatives and ground-breaking approaches to working with Aboriginal men and families to address family violence. 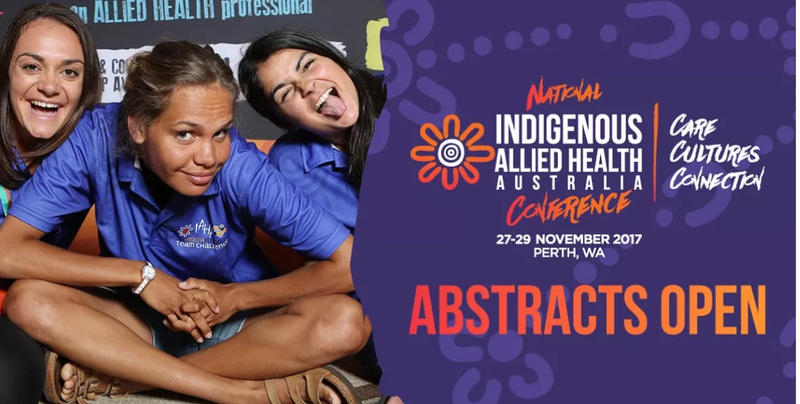 Our aim is to take the outcomes of the conference to government and other funding sources to draw attention to the initiatives being undertaken by Aboriginal communities. Registrations are open for this conference now and we’d love it if you could promote the event with the below website. 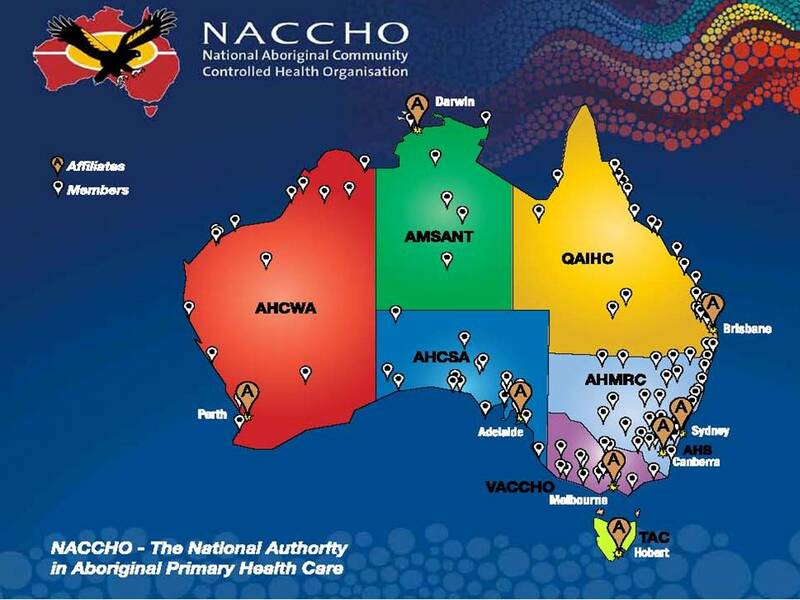 KWY is an Aboriginal organisation based in Adelaide delivering services across South Australia to Aboriginal families to address family violence. No To Violence is the peak body for organisations and individuals working with men to end their violence and abuse towards family members. Both KWY and NTV are non-profit organisations. 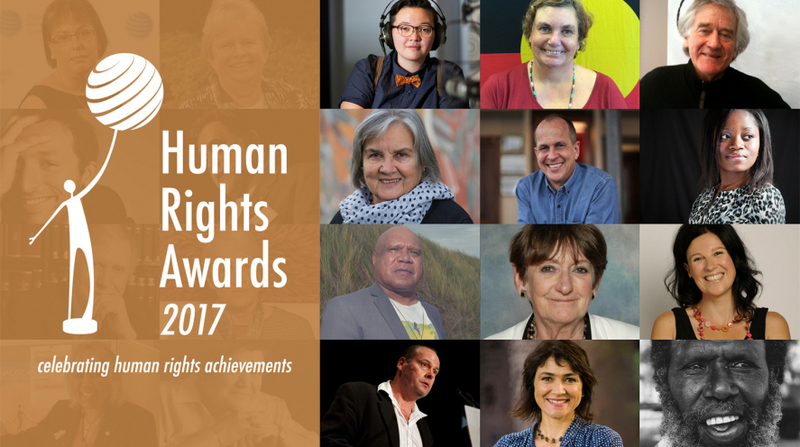 Tickets are now on sale for the 30th Human Rights Awards to be held in Sydney on Friday, 8 December 2017. What better way to recognise the individuals and organisations that are dedicated to human rights and celebrate their achievements! Each year, more than 500 people from the community sector, government and business come together to recognise the impact of human rights in Australia. Finalists for each of the eight categories are soon to be announced. Emeritus Professor Rosalind Croucher, President of the Australian Human Rights Commission, will deliver the keynote address. Attorney-General, Senator the Hon George Brandis QC will be attending. Each ticket includes a 2-course lunch and beverages.